Tired of being told you look tired? Feeling frustrated when people ask you if you get enough of sleep? Eyes are often the main focus on the human face. Eyes are also considered to be a doorway into a person’s soul. Healthy and happy eyes have an irresistible sparkle, while sad and tired eyes look angry, old and dull. Dark pigmentations simply take away beauty from the face and the eyes as they are often the first signs of skin aging. People who have them are often told they look and making people look tired or angry. One of the most common causes is the loss of fat and thinning of the skin around your eyes. This process makes the natural bluish-reddish vessels becoming more pronounced resulting in dark discoloration. Everyday stress, lack of sleep, and poor lifestyle choices all influence our skin balance and hydration. Excessive sun exposure and not wearing SPF also has been shown to cause body cells to produces extra pigment called melanin, resulting in increased discoloration. The most sensitive skin cells which are prone to this process are unfortunately where the thinnest skin is, which is around the eyes. Pigment discoloration irregularities can also be cultural or hereditary in origin, particularly to people of Asian or African descent are more prone to these discolorations. How can one treat dark eye circles? The most important step is to be seen by an expert physician who can perform a very careful and detailed history and physical exam to rule out any organic causes such as liver problems, allergies, skin irritation (dermatitis), and evaluate your skin age and laxity. No one is safe from developing dark eye circles. Even people that regularly workout and eat healthy and don’t smoke loose their natural fat that is supposed to keep their skin and face looking young and healthy. 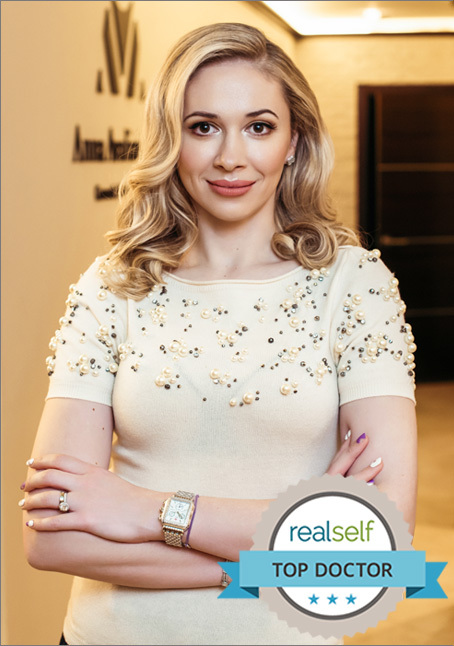 The first step is admitting that you don’t like what you see in the mirror, followed by finding an expert physician who can help you, and Dr. Avaliani can do it all. What are the latest treatments available in treating dark eye circles? STOP covering yourself with a ton of makeup and forget what putting on a concealer is!!! Save your money and time on expensive make up concealers that take time and money and result in fake looking skin as all they do is that simply hide the problem. The solution is simply to restore the volume where it has been lost with the results lasting form a year to 5 years after a single treatment. The treatment is often dependent on the exact cause. If you tried everything over the counter, get enough of sleep, take care of your skin and still look tired, Dr. Avaliani can offer a great variety of solutions for you.